AVR-ISP500-TINY is fast and reliable USB AVR programmer. It have two modes of work: STK500 compatible USB programmer and USB Mass storage. In STK500 mode it working directly with AVR Studio. 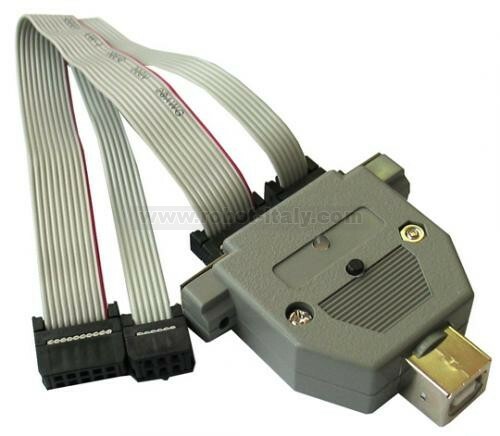 It is recognized as STK500 programmer and programs all AVRs. AVR-ISP500-TINY is fast and reliable USB AVR programmer. It have two modes of work: STK500 compatible USB programmer and USB Mass storage. In STK500 mode it working directly with AVR Studio. 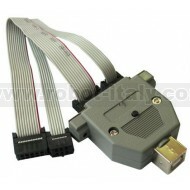 It is recognized as STK500 programmer and programs all AVRs. As it used USB CDC no need for drivers and works under Windows, Linux and MacOS. If you do not want to use AVRStudio you can use AVR-ISP500 with AVR Dude. In Mass Storage mode it created new drive on your computer and when you drag and drop the HEX file to this drive it program it in the target AVR attached to the ICSP connector. This is totally platform independant and works on any computer without need for any software.